Without a doubt, Big Bang is a definite go to for new folks who are starting to learn about KPOP. With their wide range of style and charisma, Big Bang is a great group to introduce to new people and "Bang Bang Bang" is one of the hottest bops out there. In fact, any song from the 'MADE' album is a definite way to attract new fans. One of the hottest boy bands out there, BTS is a surefire way to win your friends love and let them join the growing ARMY. 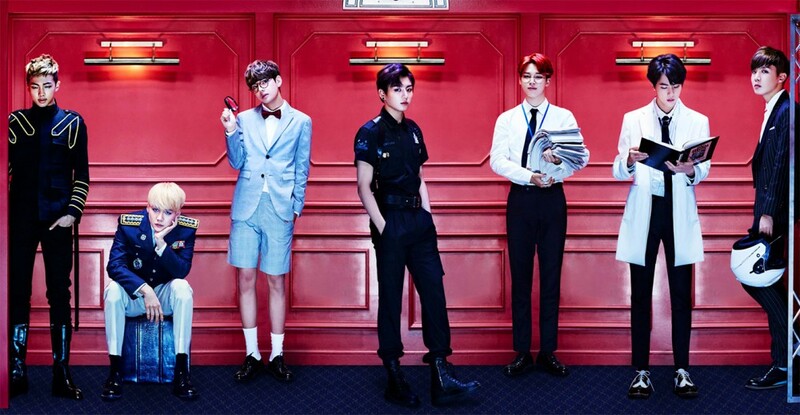 "Dope" not only has a catchy tune but also an amazing choreo that is bound to catch anyone's attention. The beat and style of "4 Walls" create a sense of mystery and intrigue that is hard to turn away from. With the beautiful voices of the members, this song will definitely attract your friends' attention. 4. Block B - H..E.R. "H.E.R". has an incredibly eccentric and fun song that is incredibly hype and exciting to listen to. Not only that but the exciting colors and fun characters portrayed by the members is something that you can't help but look away from. Black Pink is quickly gaining love and attention from people worldwide and not only are they beautiful and talented, but they are also quirky and adorable off stage which will be a win for new and old fans. You can also introduce them to the song "Whistle" if you want something with more swag. Another talented quartet, Mamamoo is a fun group with great songs that's hard not to love. Once they listen to "Mr. Ambiguous" they'll be hooked! For folks that avoid KPOP because they might think KPOP is all fun and cutesy, this is a song that will definitely rock their boats. So if you want to get your rap fans into KPOP, "Agust D" is the way to go!! Lee Hi is rather underappreciated for her talents and skills but her music is definitely something to share because of her beautiful vocal range and lyricism. Anyone new to KPOP will immediately appreciate her talent. The intro of "Crooked" evokes a sense of nostalgia that plays out throughout the rest of the song, which is what makes this song a great introduction for new fans. What's not to love about IU? Not only will fans notice her cute charms but then they'll notice her incredible voice and fall in love with KPOP forever.